Yesterday, on 16th July 2014, we had a most enjoyable and heartening meeting! 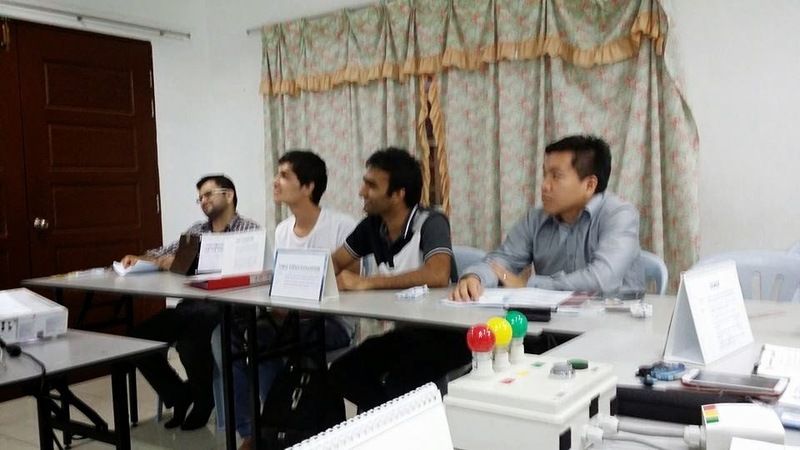 Many thanks to Kwa Ngan Eng, DTM who stepped in at the last minute as the General Evaluator when our appointed General Evaluator was unable to attend the meeting. 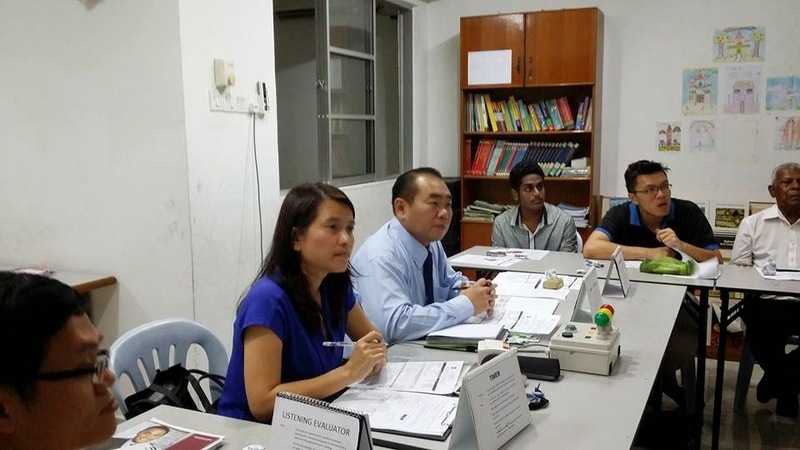 There were a total of 12 members and three guests, Rohen, Mr. Chan and Miss Lim who attended the meeting. All the members demonstrated teamwork and efficiency to arrange everything in order before and after the meeting which was commendable! Keep up the good work, dearest members!! 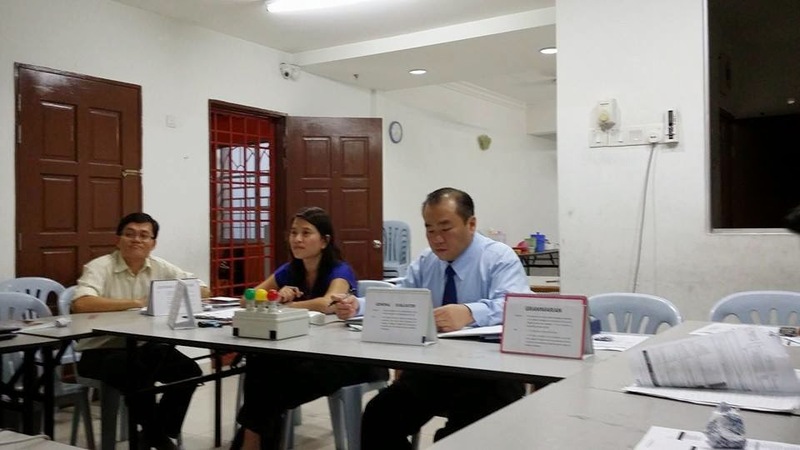 The meeting started on time at 7.15 pm when SAA, Henry Yeoh Keng Kiong called the meeting to order. TME Tan Joke Boey, conducted the meeting efficiently and the meeting ended at 9.30pm. A big hand to Joke Boey, a first time TME! 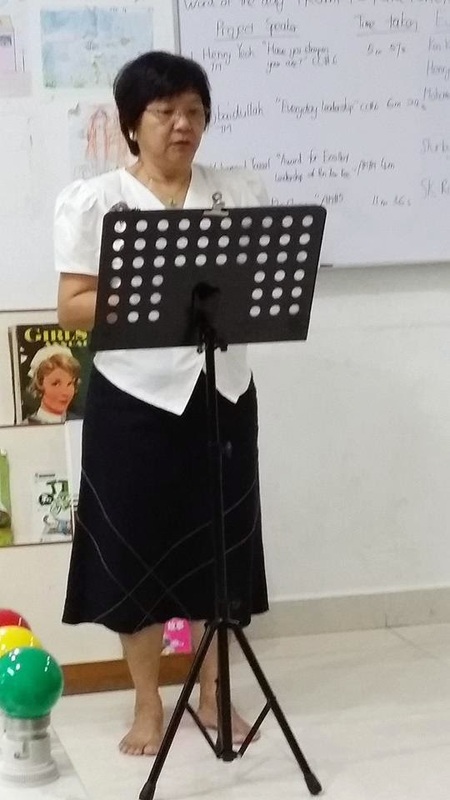 President Jeannie Carrera, CC gave a rousing speech on the motto of the term, “Efficient, Effective, Excellent” which was very enriching and motivated all the members. The Invocation Master, Kwa Ngan Eng, DTM expanded on the Theme of the Meeting, “The early bird catches the worm” and gave a speech on the importance to grab the moment when “opportunity knocks” and do not procrastinate. Thank you for the advice, Kwa Ngan Eng, DTM! 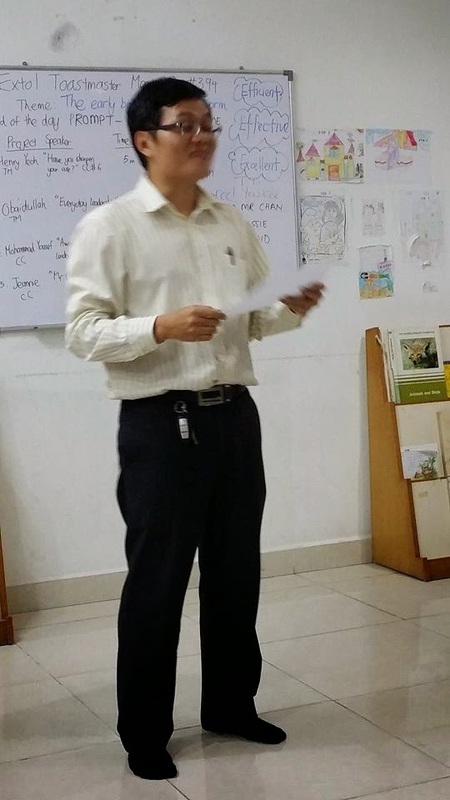 The Grammarian, Pun Yew Kee gave an introduction on the Word of the Day “prompt” which is useful in this time and day when everybody is so engrossed in the daily affairs and need to prioritize to ensure success in their daily lives. Well said, Pun Yew Kee! Shirley Bak, DTM, the Table Topics Master gave very simple catchy phrases as titles for the session. The participants who volunteered for the impromptu speeches are Pun Yew Kee, Mr. Chan, Jessie Lee and Obaidullah. Thank you, volunteers, especially Mr. Chan, our guest. Henry Yeoh Keng Kiong, the Table Topics Evaluator was very efficient by evaluating all the speakers fairly and frankly within 4 minutes. Good work, Henry, keep it up! The best Table Topics Speaker went to Obaidullah who gave a wonderful speech on “All’s well ends well”. 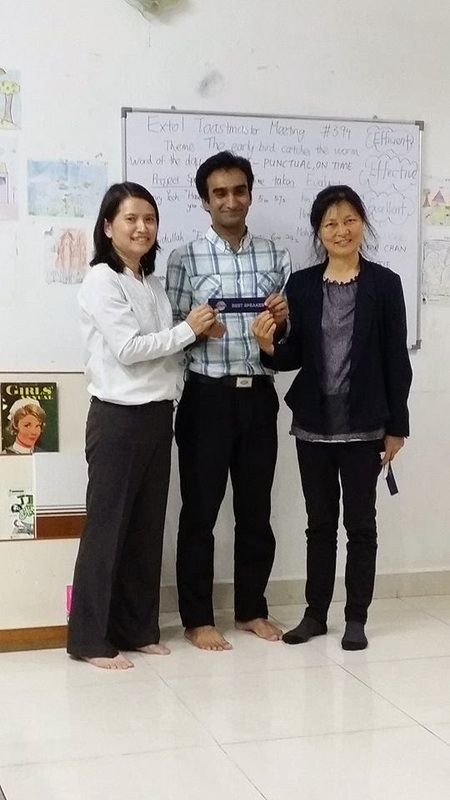 This is the second time that Obaidullah was awarded the best Table Topics Speaker!! Congratulations, Obaidullah!! 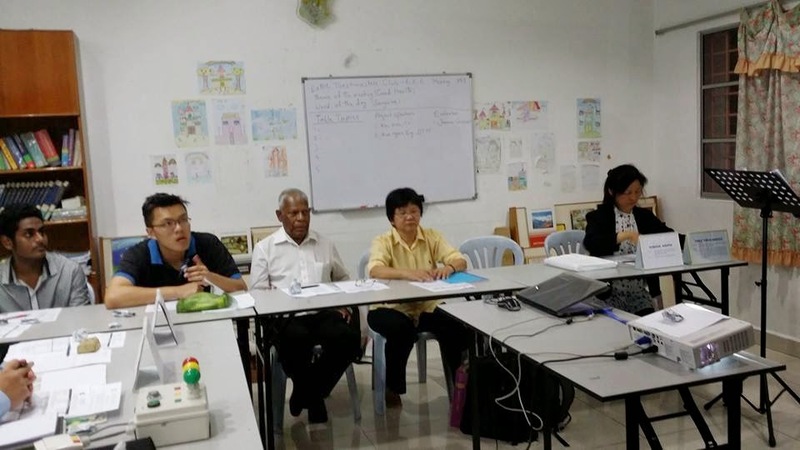 There were 4 Project Speakers for the meeting, Henry Yeoh Keng Kiong, Obaidullah, Mohammad Yousuf, CC and Jeannie Carrera, CC. Henry Yeoh Keng Kiong did his CC speech no. 6 titled “Have you sharpened your axe?” which showed us ways and means to enhance our work productivity and he was evaluated by Ken Koh, CC. Obaidullah also did his CC speech no. 6 titled, “Everyday Leadership” which encouraged everyone to be confident and effective leaders and he was evaluated by Mohammad Yousuf, CC. Mohammad Yousuf, CC did a speech on Advance Manual no. 4, presenting an Award titled. 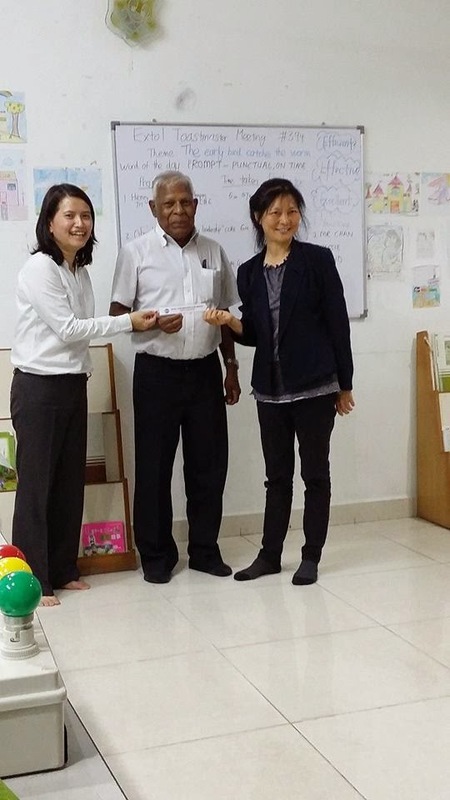 “Award for Excellent Leadership of Pun Yew Kee” which gives us an insight of our Past President Pun Yew Kee’s praiseworthy character which we should emulate. His speech was evaluated by Shirley Bak, DTM. Jeannie Carrera, CC did a speech on Advance Manual no. 5, Entertaining Speaker titled “Mr. Owen” which was an entertaining fairy tale and was evaluated by SK Ratnam, DTM. Thank you all the speakers for their fine speeches and the evaluators for their encouraging evaluations. Both the best Speaker and the best Evaluator awards went to Mohammad Yousuf, CC! Brilliant, Mohammad Yousuf, CC, continue in your efficient, effective and excellent ways! 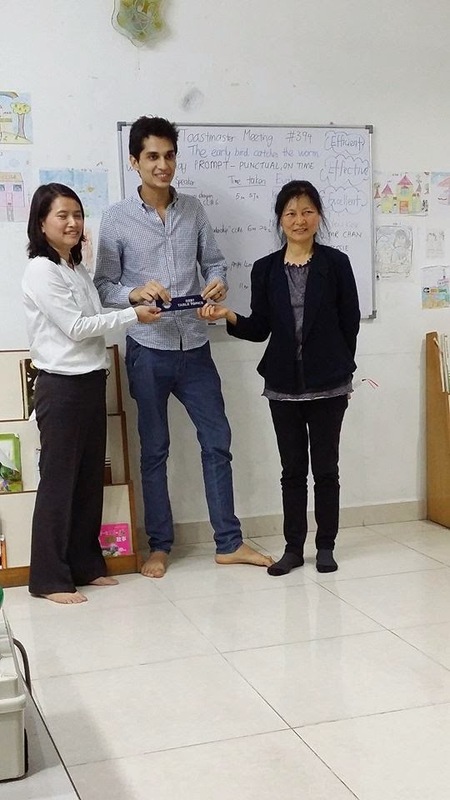 Aric Ng Min Hong was a superb Listening Evaluator who gave us 10 questions which reflected his keen observation during the meeting. Thank you, Aric! The Best Listener award went to SK Ratnam, DTM who had 8 correct answers! Congratulations, SK Ratnam, DTM! First time Ah Counter, our guest, Rohen was very attentive throughout the meeting and carried out his job exceedingly well by recording all word clutches and reporting them. Thank you, Rohen! We hope that you enjoyed your role very much and will be confident to join us as a member and do your speeches as well. Henry Yeoh Keng Kiong wore 4 hats and was the Timer and did a awesome job of timing the whole meeting, Kudos, Henry, that’s the way! Our General Evaluator, Kwa Ngan Eng, DTM was very observant and alert to all going-ons at the meeting and gave a frank and honest opinion of the whole meeting! Thank you very much, Kwa Ngan Eng, DTM! We shall take note of all your advices and be effective at all our future meetings. President Jeannie Chow, CC also announced that there will be an Extol Club Officers Installation Dinner on 1st August 2014 at 7.00pm and all members are invited to attend. The venue is at Broadbean Café, A-G-32A, Jalan PJU 1/43, Aman Suria Damansara, Petaling Jaya, Malaysia. It is free for all members and cost RM22.00 to spouses and invited guests. She also announced that there will be a Humourous Speech and Evaluation Contest for our club at our next meeting on 6th August 2014. The Organising Chair of the Humourous Speech and Evaluation Contest, Tan Joke Boey announced the role players and contestants for the contest. All members, please be present to cheer for the contestants who are participating in the contest. Hooray, hooray, hooray!!! As the Toastmasters International Convention at KLCC is on from 20th – 23rd August 2014, however, the meeting on 20th August 2014 is still on. Everyone is encouraged to attend the convention, if not please attend the regular meeting. We would also like to call upon a volunteer for the TME role for the next Meeting No. 396 on 20th August 2014. Dear members, let us be efficient and effective, be the first to grab all the roles available for the next meeting! Be prompt and make our next meeting an excellent one! Bye-bye! Extol Toastmasters Club Humourous Speech & Evaluation Contest on 6th August 2014 at 7.00pm. No. 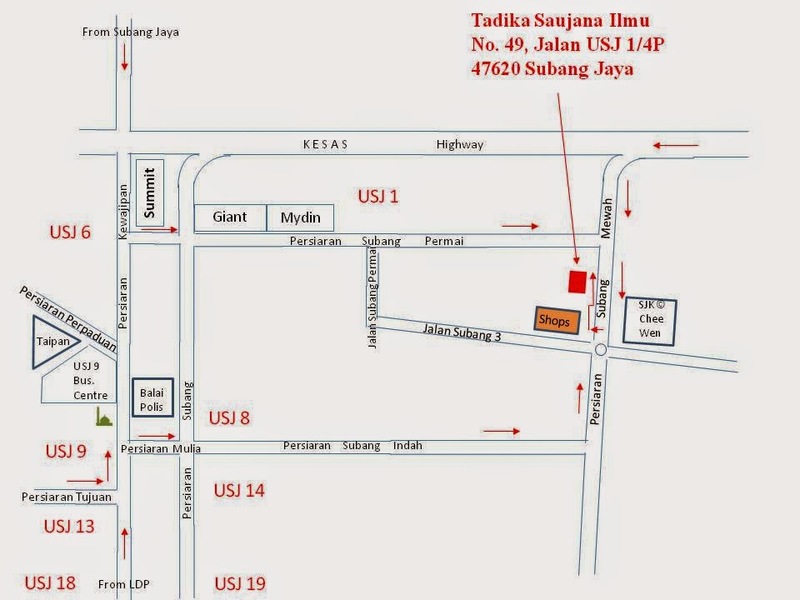 49, Jalan USJ 1/4P, 47600 Subang Jaya. Humourous Speech and the champion of the Evaluation Contest shall represent Extol Toastmasters Club at the Area C5 Humourous Speech & Evaluation Contest. "To be an exemplary Toastmasters Club"